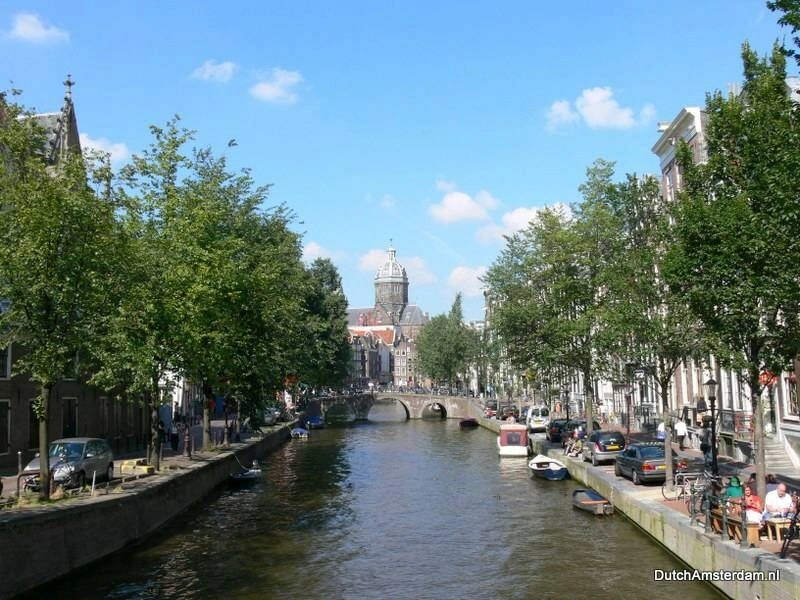 DutchAmsterdam.nl — The ambition of Waternet, Amsterdam’s water authority, is to someday have the water in the canals of Amsterdam clean enough for people to swim in. But what if they go one step further — and make it clean enough to drink? Drinking water from Amsterdam’s canals. See English translation below. The Netherlands has the best drinking water in the world. And it simply comes from the faucet. We find that quite normal but it is actually very special. But how do you relate that? By showing where the water comes from? Where the water catchments are? How the water filters into the ground? And how the water companies purify that water day after day? No. We do it by showing that in the Netherlands we can purify any water. Even the water from the canals of Amsterdam. During the International Water Week water from the canals of Amsterdam was purified on the spot — using a mini water purification machine. Drink water from the canals? That made people pay attention. And hopefully they now also think: for the best drinking water you don’t have to go to the supermarket, because the best source is your own faucet. Earlier this month the Canal Water Bar advertisement was nominated for an ‘ADCN Lamp’ — the coveted Award for Advertising and Design as provided by the Art Directors Club Nederland. The ad was created by Amsterdam-based advertising agency Dawn. It was commissioned by Waternet: Amsterdam’s water authority, Vewin: the association of drinking water companies in the Netherlands, and PWN: Water Supply Company Noord-Holland. The award ceremony will be held on April 26, 2012. The actual event shown in the video took place on October 30 last year, during the International Water Week, Amsterdam. The purification plant was set up at Koningsplein, on the bridge across Singel canal. Incidentally, we feel compelled to share a salient detail: in 2009 Project ‘Schoonschip’ (Clean Ship) was started: an effort to connect all of Amsterdam’s 3.000 houseboats to the sewer system. Target date for completion of the project is 2018. By the way: Waternet collects 3.500 kilo of trash from the canals every day of the week. How many bicycles and cars end up in Amsterdam’s canals?